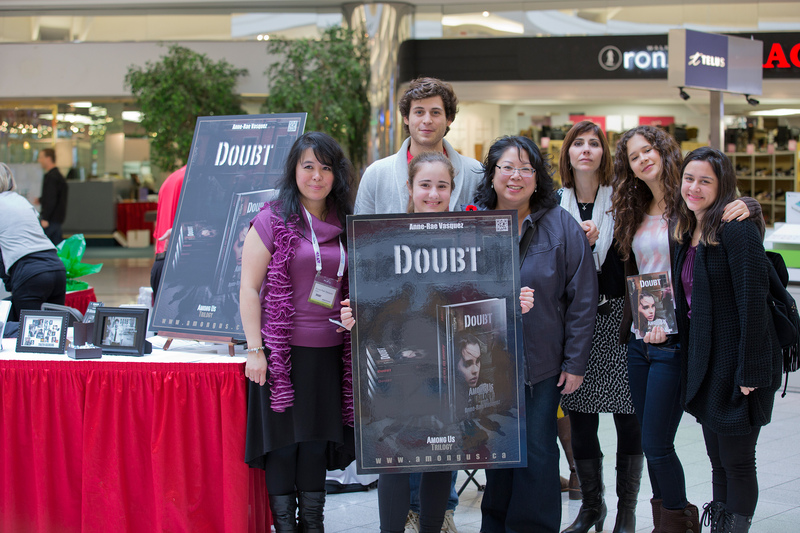 My developmental editor, book launch team and I had the pleasure of launching my latest book, Doubt, book 1 of the Among Us Trilogy at the Rain Dance Book Festival last weekend. Joseph Khalil for Digital Journal covered the event where you can see me in the video below. 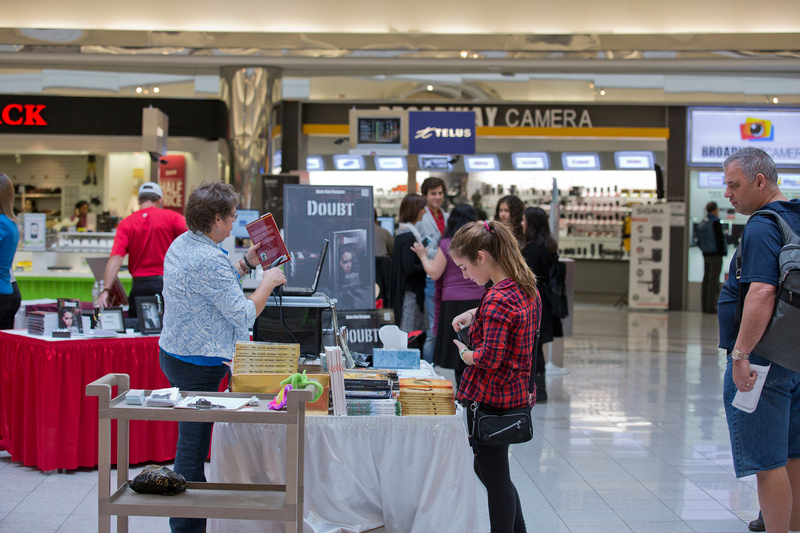 The “Sundance for Books”, Vivalogue Publishing and Black Bond Books held the first Raindance Book Festival which celebrates and supports local Canadian authors. 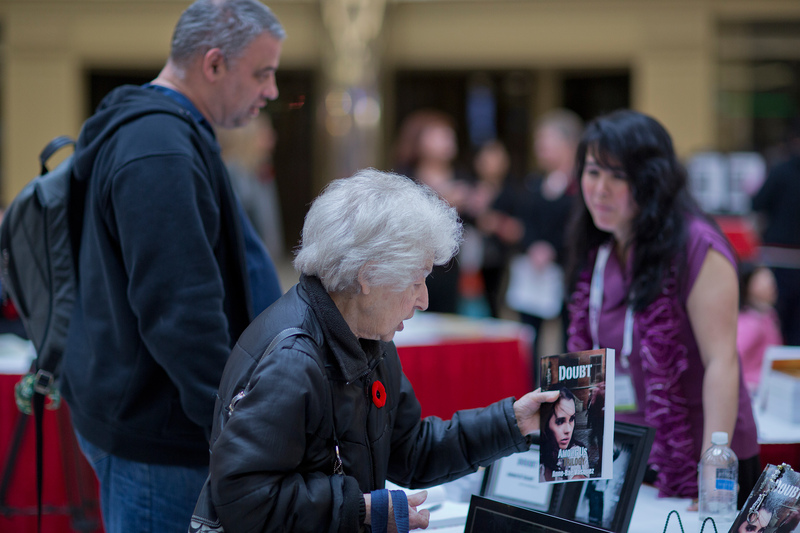 Organizer Lynn Duncan was passionate about giving Canadian local authors a chance to shine. 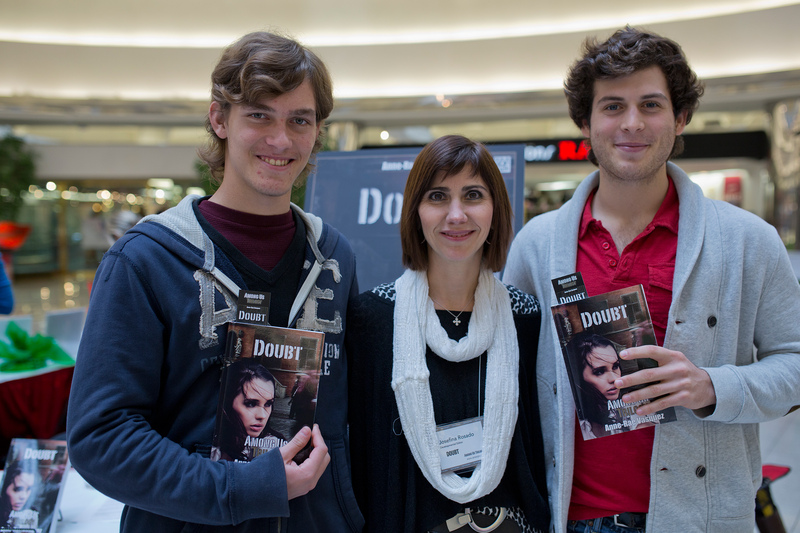 Digital Journal was on hand to film the festival which took place at Lansdowne Centre Mall in Richmond, BC. 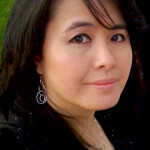 Watch the video to see interviews with the authors who participated at the festival. 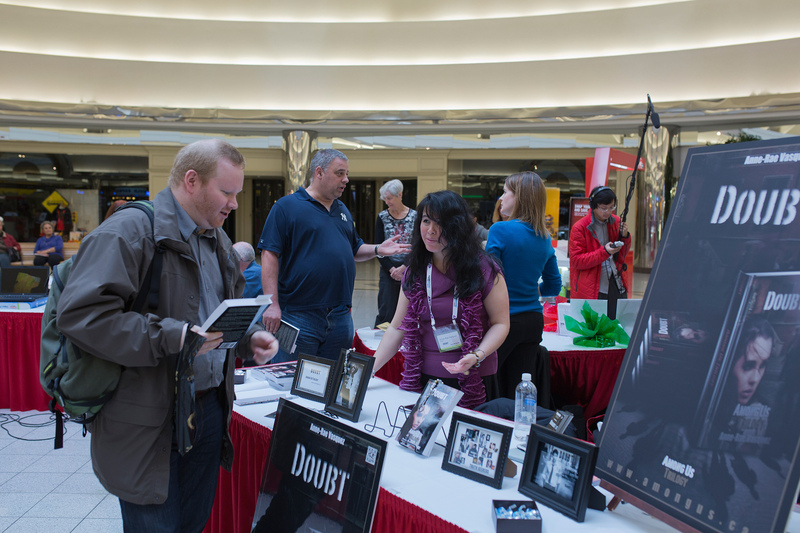 The featured authors were able to take the opportunity to show off their books and do book signings to dozens of attendees at the festival. Black Bond Books handled the sales of the books on site which made the process of book selling run smoothly. 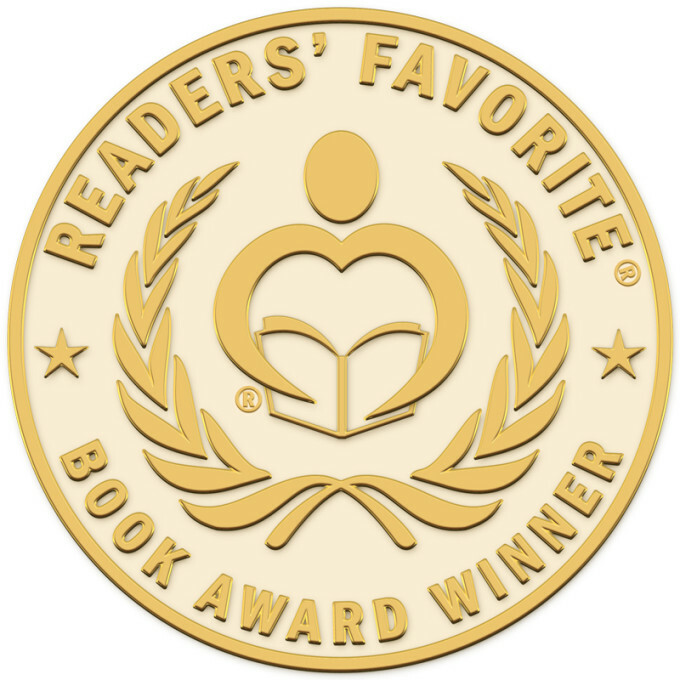 The morning part of the festival highlighted authors in the children and young adult genres while in the afternoon, authors in the adult fiction and non-fiction were the focus. 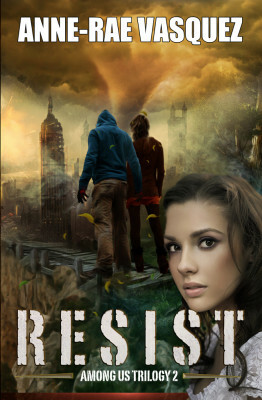 The Raindance Book Festival provided a platform for the new book release launches for three authors: Mary Laudien, author of Frenchie Diva; Mauro Azzano, author of The Dead Don’t Dream; and Anne-Rae Vasquez, author of Doubt, book 1 of the Among Us Trilogy. The event was UStreamed to fans all over the world, a first for us and a great success. 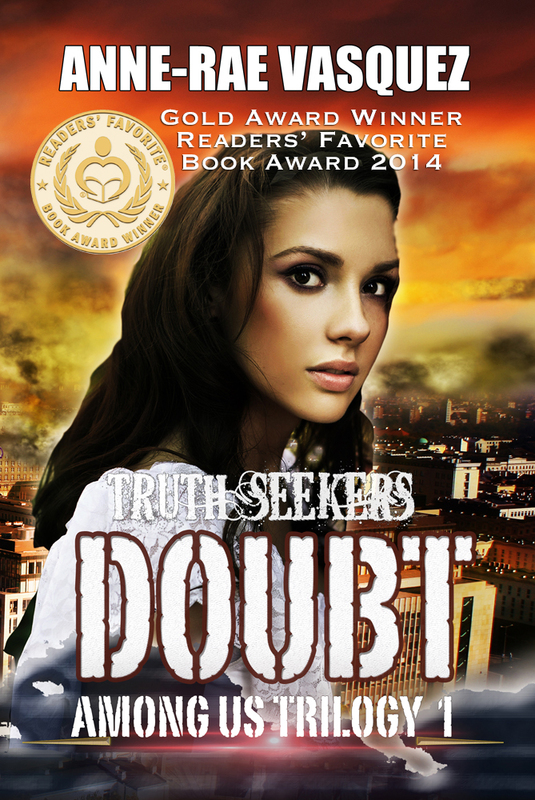 Doubt debut release on the same day of the book launch at Raindance Book Festival put it as #6 in the Amazon Best Seller list in the Fiction/ Metaphysical & Visionary category and #26 in the Urban Fantasy/ Paranormal category. Tweetables – please retweet and share! Share on Facebook – don’t forget to Like the page! 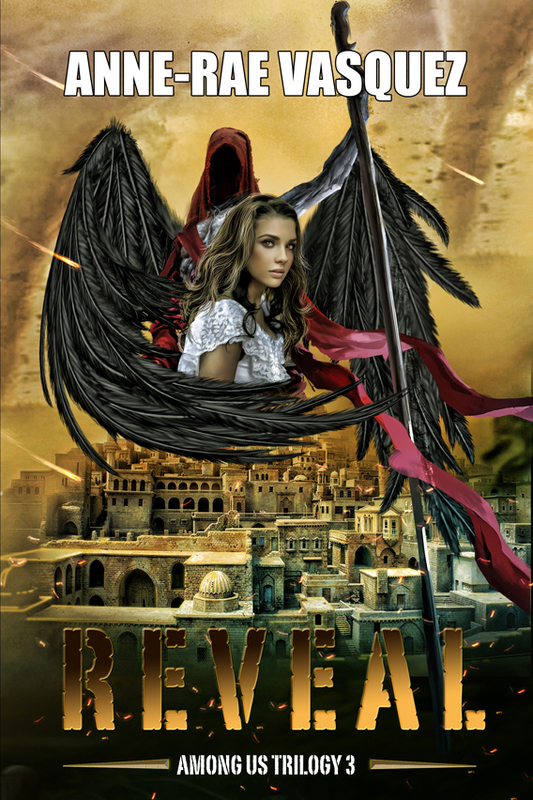 Post by Doubt, Among Us Trilogy – Book 1. 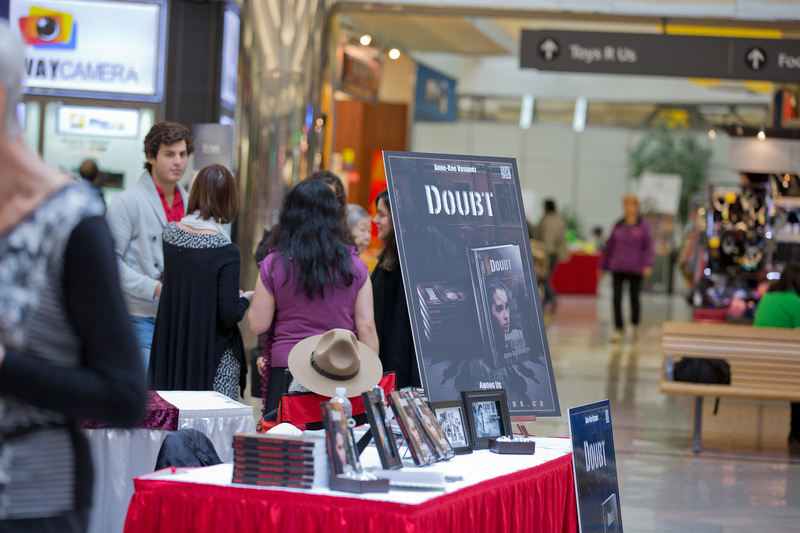 Here are some great photos of our Book Launch team, fans, friends and Truth Seekers. Thanks to Gabriel Lascu for being our press photographer. 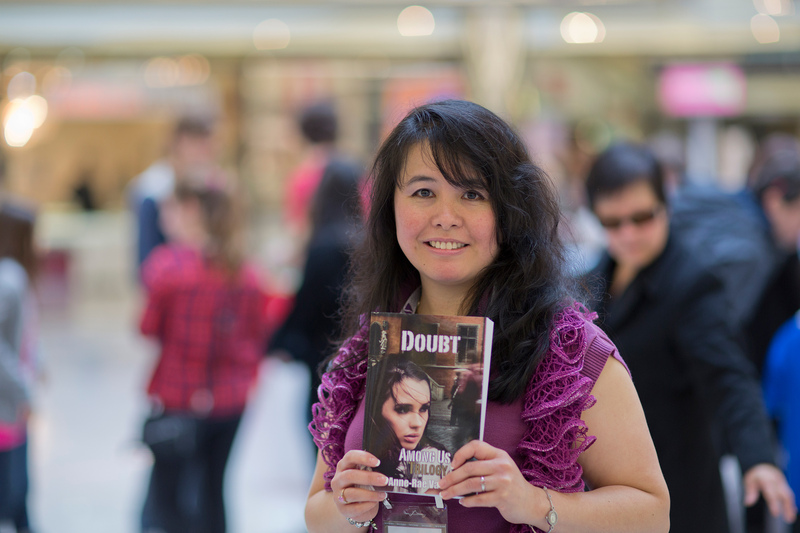 Met a wonderful person who bought a copy of Doubt!